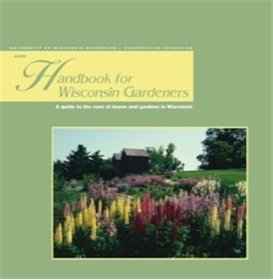 Looking for the perfect gift for your favorite beginning or advanced gardener or for yourself@f0 In the Handbook for Wisconsin Gardeners, we’ve collected over 60 of our best-selling gardening publications and organized them in a sturdy and attractive binder. This is the same resource used by many Wisconsin Master Gardeners when fielding gardening questions. Flowers, lawns, landscape plants, fruits, and vegetables will flourish with the advice offered here. Looking for the perfect gift for your favorite beginning or advanced gardener or for yourself? 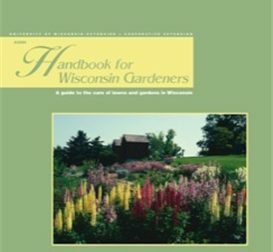 In the Handbook for Wisconsin Gardeners, we’ve collected over 60 of our best-selling gardening publications and organized them in a sturdy and attractive binder. This is the same resource used by many Wisconsin Master Gardeners when fielding gardening questions. Flowers, lawns, landscape plants, fruits, and vegetables will flourish with the advice offered here. The PDF lists the more than 60 publications included in the handbook.